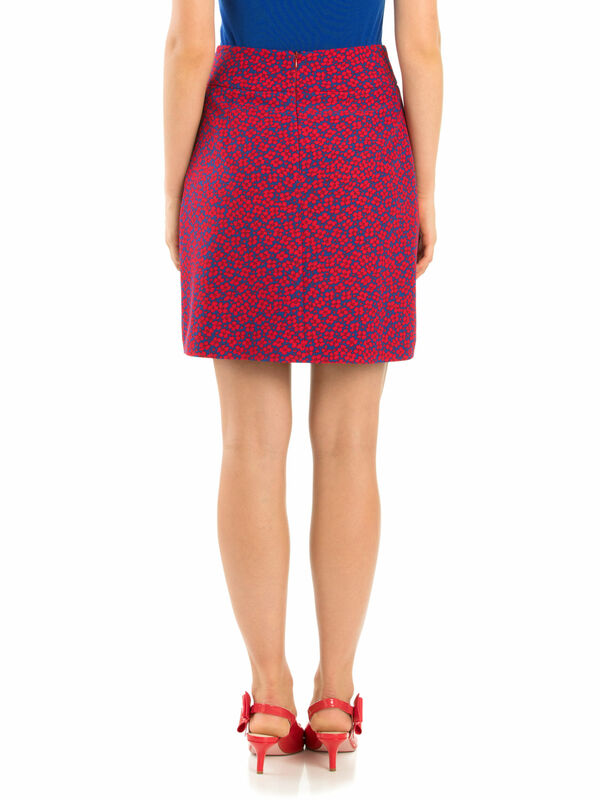 Lucky Lucy Skirt https://www.review-australia.com/au/lucky-lucy-skirt-red/RE19SK093.RERED124.html Add a bold touch to your wardrobe with this Lucky Lucy Skirt. 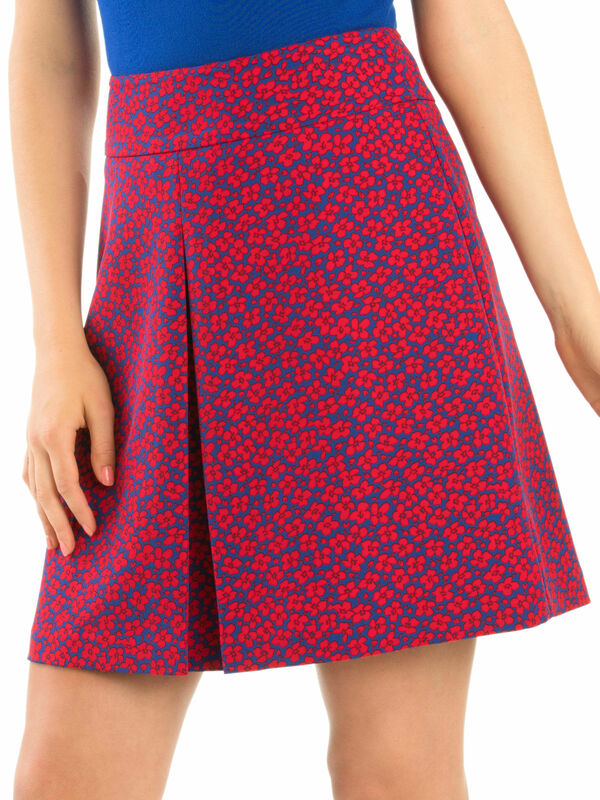 It has one front pleat for easy movement, and a wide waistband for a flattering finish. Adorned with red floral prints on the navy blue background and a zip on the back. The crepe fabric creates a fitted look, whilst still making it easy to dress up by throwing on a pair of heels. Lucky Lucy Skirt is rated 4.9 out of 5 by 9. Rated 5 out of 5 by Nancy 68 from Beautiful quality Purchased this skirt for my autumn wardrobe. Lovely quality. Love the fun print. It’s a great length too as I’m quite tall. Looking forward to wearing. Rated 5 out of 5 by Juliep from Great shape and colours! I bought this and the dress in the same colours. It's a great style and length, the fabric is thicker than usual and had a flattering shape. Rated 4 out of 5 by Gabbi from Fabulous colours This skirt is comfortable and looks amazing. Love the colours and I get lots of comments ehen I wear it. Rated 5 out of 5 by HappyHourglass from Soft feel, perfect fit The fabric feels wonderful and the fit/cut is very flattering on an hourglass figure. True to sizing also. Rated 5 out of 5 by Deanna from Pretty skirt This skirt is so comfortable but pretty! Can wear it all day and it still looks lovely! Rated 5 out of 5 by Cheryl 50 from looks great fits well I have been looking at this skirt for a while and decided to buy it. Fits beautifully.